Organic baby carriers are a must-have! Babywearing is so important for both mom and baby, and an organic baby carrier ensures that your baby is only making contact with safer materials. If you are working on your baby registry, it can truly seem like babies need so many things! But thankfully, you won’t need every single baby product from day one. 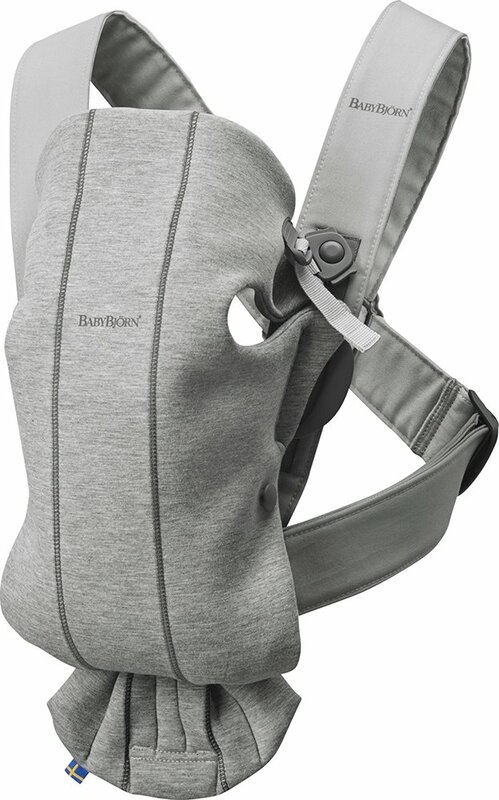 However, one product that definitely tops my list of essentials is a baby carrier. Babywearing is a wonderful way to connect with your baby and nurture them while giving yourself an opportunity to be hands-free. Here’s my list of the best organic baby carriers, and a little on why you’ll want to invest in a good one or two to have on hand from birth through toddlerhood. After carrying your baby for nine months in the womb, she will crave closeness with you. Babies have an innate need to be held – especially by their mom – and being close to your baby promotes bonding and encourages physiological development. Cuddle, snuggle, and do skin-to-skin with your baby as much as you can! But, the reality is that you won’t always be able to lounge in bed with your newborn. (And that goes double if this isn’t your first baby.) There will be times when you need to be hands-free, and that’s where babywearing can be especially useful. Whether you’re preparing a meal, doing laundry, running errands, or out taking a walk, babywearing can make these activities much easier and more comfortable for you and your baby. You can also breastfeed on-the-go in most carriers. There are several organic baby carriers on the market, and each one has its pros and cons. Choosing the best organic baby carrier for you ultimately comes down to your own needs and preferences. 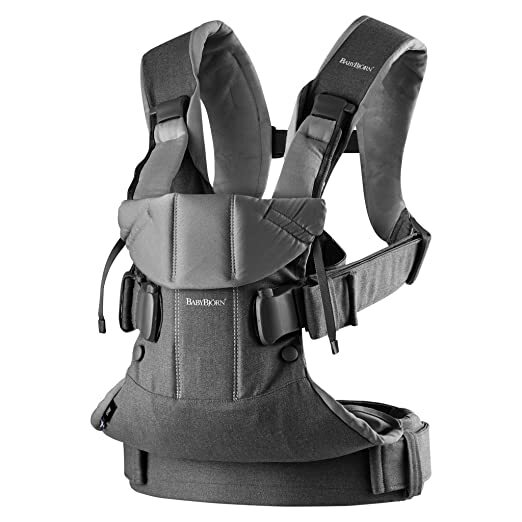 Head Support: Look for a carrier that provides good head support, especially for newborns. Safety, Fit, and Comfort: Both you and your baby should be comfortable using the wrap. It should fit you well and hold your baby safely and securely. Your baby should feel secure and snug. Adjustable: Do you prefer to have a carrier that can be used by multiple caregivers, or will you be the main babywearer in your household? Some carriers are sized to the wearer (like the Baby K’tan), while others can be shared with a few adjustments to the straps. Fabric and Materials: Preferably, you should choose a wrap that is organic or easily washable, and one that doesn’t contain foam sprayed with flame retardants. When choosing organic fabrics, it’s best to have a third-party certification like GOTS or Oeko-Tex. A baby carrier that has breathable fabric is good for use in warmer climates or during summertime. 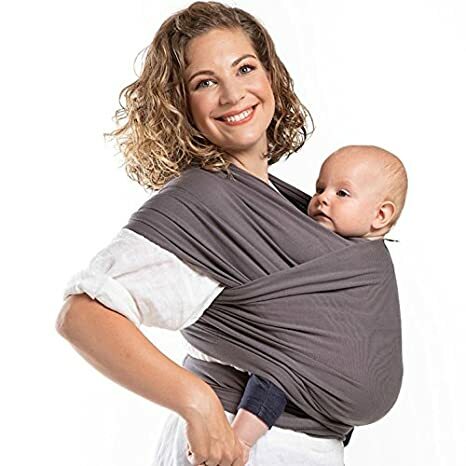 Available Positions: Consider whether the wrap allows your baby to face forward and to face you, and whether you can use the wrap to wear your baby on your back (if that’s important to you). Newborn-Friendly: Some carriers require that you purchase a special newborn insert to allow you to use their carrier with a newborn. I’m not crazy about this because it requires you to spend extra money to use the wrap for the first few months. This is something to consider when shopping for baby carriers for newborns — do you mind spending the extra money on an insert that you’ll only use for a few months? Or would you prefer to skip the insert and instead buy a carrier that is more suitable in size to your newborn, and upgrade to a larger carrier later? There are many different types of baby carriers. I’ll go over my recommendations for what to use, but here are the most common types of baby carriers. Ring Slings: Ring slings are worn over one shoulder and are tightened with a belt loop. Lightweight and portable, and are easy to use and slip into your diaper bag. They’re also great for use around the house. 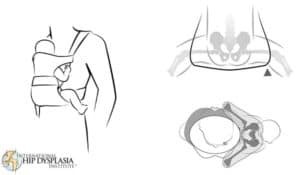 Note that safe and proper use of a ring sling is essential in preventing hip dysplasia and infant suffocation. Please read your sling’s instruction manual carefully. Infant Wraps: Wraps use a long fabric that ties around your body to create a carrier. It only takes a few attempts to get the hang of using a wrap, and they work wonderfully, especially in the newborn and infant stages. As your child gets older, though, you may find that you’d prefer a soft-structured carrier to a wrap – but not necessarily. Meh Dai Carriers: Falling somewhere in between a baby wrap and a soft-structured carrier, meh dai carriers give you the best of both worlds. You benefit from a more structured shell as well as straps that wrap. These are often handy when young babies outgrow the baby wrap but aren’t yet comfortable in the soft-structured carrier. There are even some meh dai carriers with a waist buckle, giving you more of the feel of a soft-structured carrier with some of the flexibility of a wrap. Soft-Structured Carriers: Soft-structured carriers are probably what most people think of when they picture a newborn baby carrier. They will take up more room in your diaper bag than a ring sling, for example, but they can usually be used from birth (though many brands require an additional purchase of an infant insert) and last a longer period of time. As a newborn, your baby will probably be the most comfortable in a ring sling or infant wrap. They allow you to get a snug (but safe) fit, allowing your baby to cozy right up to you. Infant wraps are great for babies in the newborn stage and can technically be used much longer than that too. Though they can be cumbersome to put on, baby wraps seemed to work the best with both of my boys. It takes a minute to put the wrap on but they would always be so happy in there. I have to say that our Moby wrap was a true lifesaver during the early days with our babies, especially when they were taking 4-5 naps per day. I would often babywear in the Moby wrap for at least one nap. The Organic Boba Wrap is a long piece of fabric that you wrap around yourself to create a carrier. It distributes your baby’s weight evenly across your shoulders and hips, making it more comfortable to carry your baby (especially for longer periods of time). Babies seem to love being worn in an infant wrap and often fall asleep. 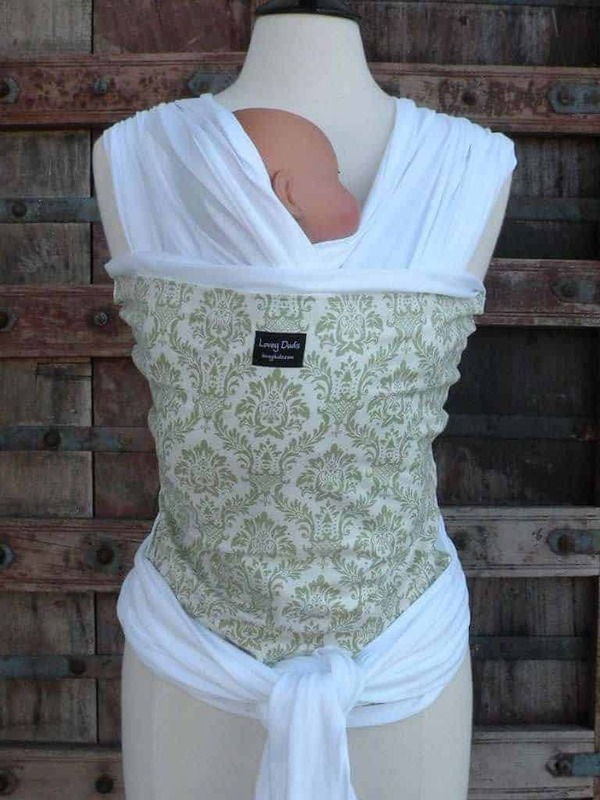 This organic baby wrap also works well for skin-to-skin and breastfeeding. It gives you two options for how to hold your baby: the newborn hold (with your baby’s feet kept inside the wrap) and the love your baby hold (feet out, as pictured above). It is not designed for forward-facing carrying. 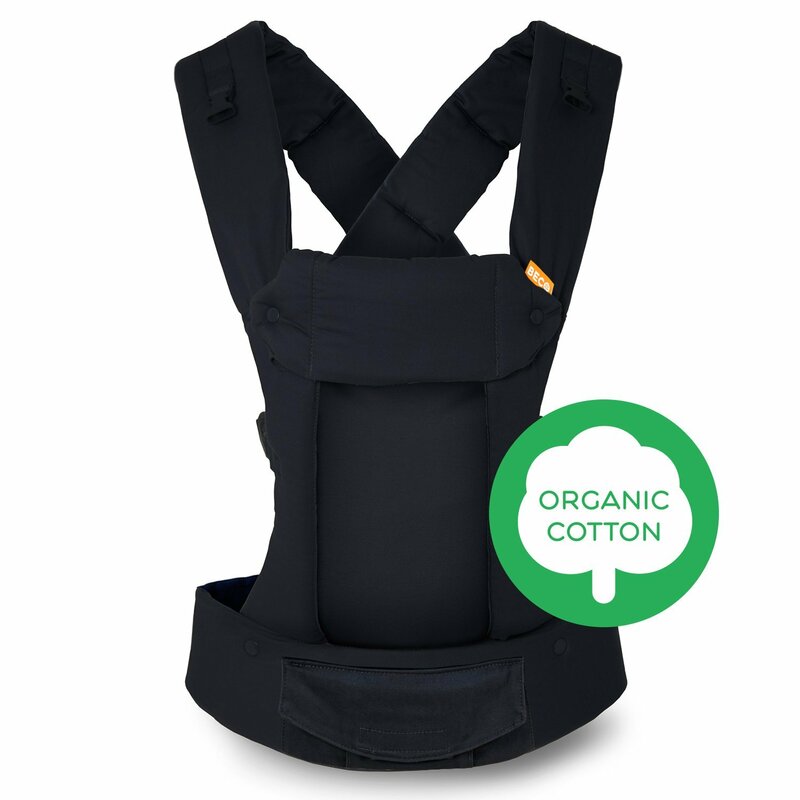 This organic baby carrier is made from 95% GOTS-certified organic cotton and 5% spandex. (However, please note that only the cotton is certified, and not the final product.) I personally found the length of the fabric to be overwhelming, but manageable, and I got used to using it after a week or two. And I did like that it is one size fits all so my husband could also use it. Our wrap was a true life-saver with both babies. Though it takes a minute to put it on, I probably wouldn’t have used any other type of wrap. I couldn’t imagine the first few months without a wrap like this one, and I love that it is available in organic cotton now! While I truly love the Boba, it can be time-consuming to put on. When your baby is crying and wanting to be picked up, it can seem like it takes forever to put it on and get the baby in the carrier. 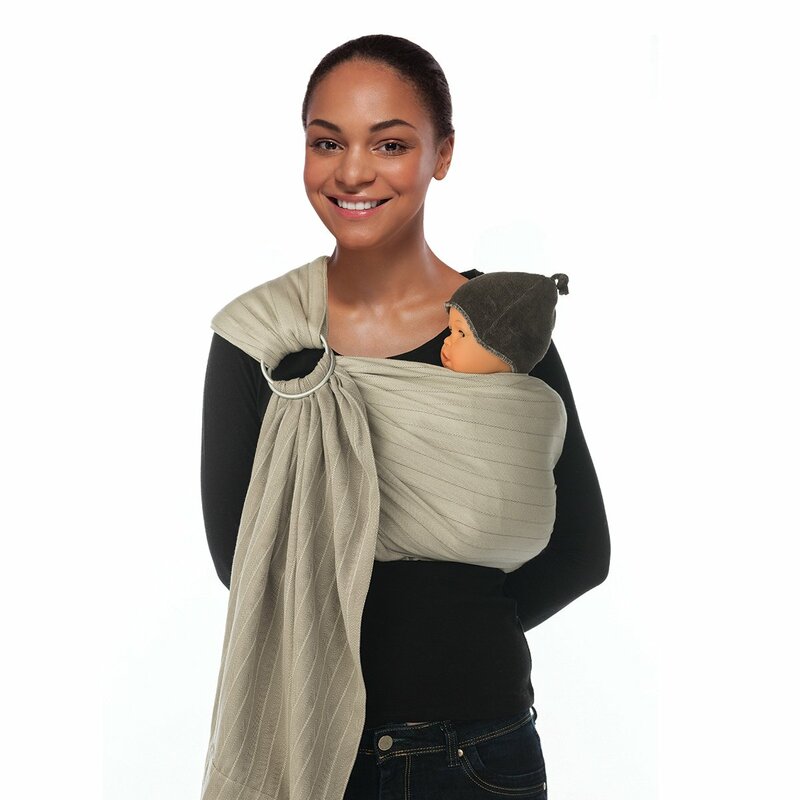 Enter the Baby K’tan, a hassle-free infant baby wrap. It’s pretty genius: using only three pieces of looped fabric, the K’tan is much easier to use and a lot more foolproof than the Moby or Boba. Two pieces of fabric go over each shoulder to evenly distribute your baby’s weight across your shoulders, and the third piece comes up over your baby’s back to secure them in the carrier. Otherwise, no tying or wrapping is involved. The K’tan can be used in a variety of positions, including forward-facing. The downside to the K’tan is that it is sized to the wearer, meaning that you’d likely need to get a second wrap for your significant other. Otherwise, it’s a great choice, especially for the early weeks. The organic Baby K’tan is made with 100% GOTS certified organic cotton, ensuring you that your baby is wrapped in nothing but the safest of materials. Best for babies and toddlers 8-35 lbs. If you’re looking for more colorful organic baby carriers, Loveyduds is your go-to Etsy shop. Made with 100% Oeko-Tex Certified organic cotton, Loveyduds has dozens and dozens of organic styles to choose from. The shop itself has been open on Etsy since 2007 and has thousands of positive ratings. Best for babies 6-35 lbs. I discovered Babylonia’s brand of organic baby carriers when I was searching for a carrier for our youngest son. I didn’t end up using their ring sling but I think this would be a great choice. (As a side note: I did try this ring sling and found it bulkier than expected and difficult to use.) Ring slings can fold up easily and fit into your diaper bag without taking up a lot of space. View Babylonia’s full lineup of organic baby carriers and wraps on Amazon. Can be used from 8-33 lbs. I was impressed (and admittedly, a little shocked) to learn that all BABYBJÖRN carriers are certified to Oeko-Tex Standard 100, meaning that they have been tested to rigorous standards for harmful substances such as AZO dyes, formaldehyde, cadmium, lead, phthalates, and more. (View the full list.) So they aren’t actually organic, but they are certified Oeko-Tex. The Mini Carrier can be used from birth until 12 months (or from 7-24 lbs.). It is an inward-facing carrier (making it most appropriate for newborns or babies that easily get overstimulated) but can also be used in the forward-facing position. 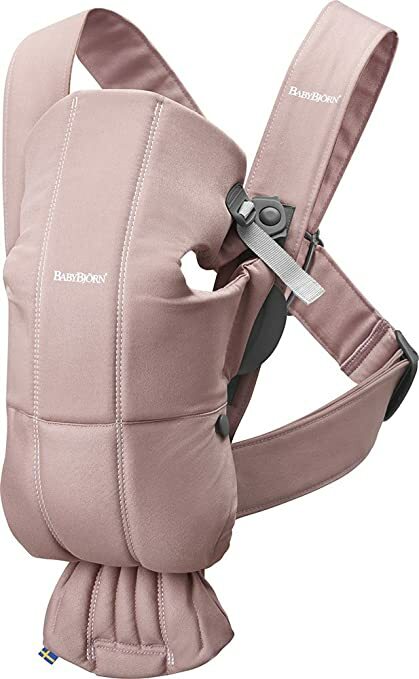 It does not offer back carry, so if you plan to babywear into toddlerhood, you would need a toddler carrier once your baby outgrows this carrier. It does have high-positioned seating which gives your baby an extra snug feeling of closeness. The Mini comes in three fabric choices – jersey, mesh, or cotton. One thing I don’t like about how soft-structured baby carriers are marketed is that companies are only referring to their outer layer when calling their products organic. Or even just saying that a product is 100% cotton. It isn’t – soft-structured carriers contain padding or foam, so they cannot be 100% cotton. Keep an eye out for that when looking at baby carriers. There aren’t a ton of organic baby carriers to choose from, but the options are still good nonetheless. Unfortunately, the Ergo Organic Baby Carrier was sadly discontinued (though you can occasionally find some for sale). Possibly the best soft-structured carrier around, the LILLEbaby Complete has it all! It can accommodate babies from birth to 45 lbs. and doesn’t require an extra newborn insert. You can use the carrier in six ergonomic carrying positions: front-fetal, front-infant, front facing out, front-toddler, hip, and back. The straps are adjustable and can be worn backpack style, or across your back. The LILLEbaby Organic is made with soft, organic cotton that is tested for formaldehyde, heavy metals, coloring, phthalates, and colorfastness. The padding is made from polyethylene, and the waist is made from “non-toxic PEVA”, which is a better alternative to PVC and known as a “greener” material. Let’s be honest about the PEVA – the jury is still out but I don’t think it’s the best material. I usually try to avoid it, but in this case, it is much better than polyurethane foam and whatever else you’d find on most baby carriers. So I wouldn’t let that hold me back from buying this amazing carrier. If you decide to get one soft-structured carrier for use from birth to toddlerhood, the LILLEbaby is it. Can be used from birth up to 45 lbs. Made with a 100% GOTS-certified organic cotton outer layer, the Beco Gemini is another good choice to consider. It has far less going on than the LILLEbaby – in a good way. It’s just a simple, effective baby carrier that gets the job done. I used a Beco with my oldest and really liked it. It’s an excellent baby carrier, and actually very easy to use compared to some of the more involved carriers like the LILLE. (Nothing against the LILLE, but it does have a little bit of a learning curve.) The Beco is a great choice. And it also doesn’t require an infant insert to begin using it from birth, so that is a plus! Boba’s organic carriers are made with 100% GOTS-certified organic cotton, and the company indicates they are free from any potentially hazardous chemicals. 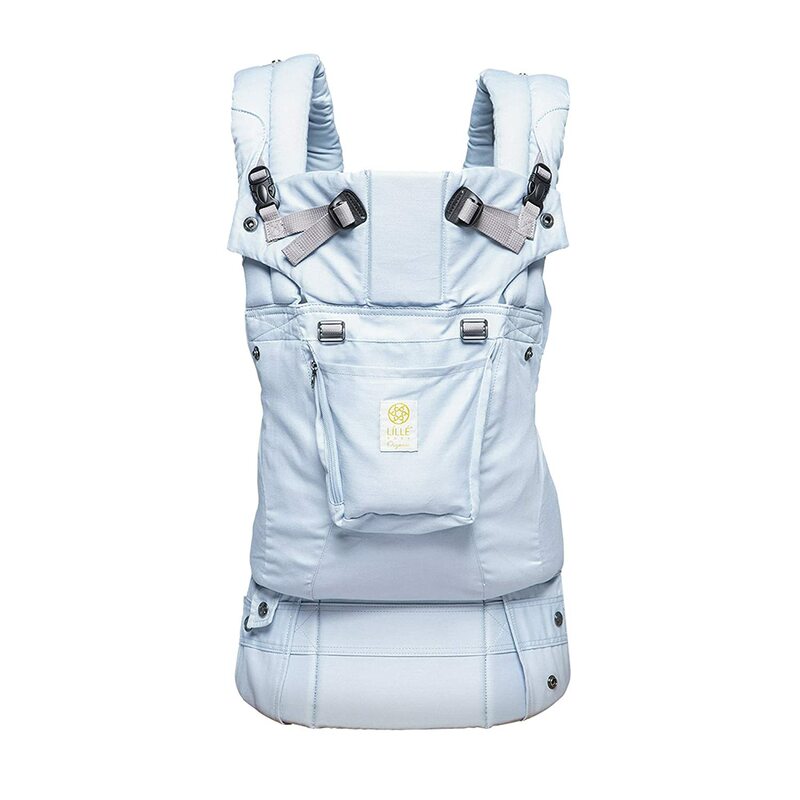 Light and easy to use, the Boba Classic 4G Organic Baby Carrier is another great choice. 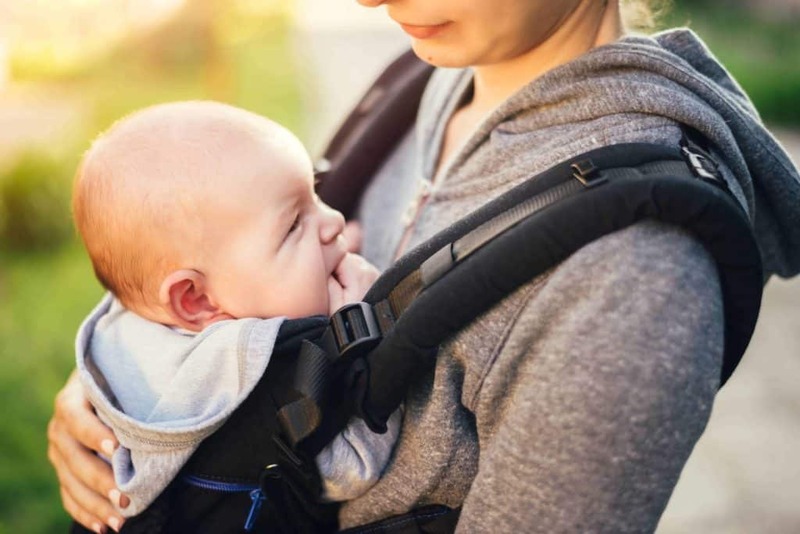 As mentioned above, all BABYBJORN baby carriers are certified to the Oeko-Tex 100 standard, meaning that the final product is tested to be free of harmful substances such as AZO dyes, formaldehyde, heavy metals, and more. 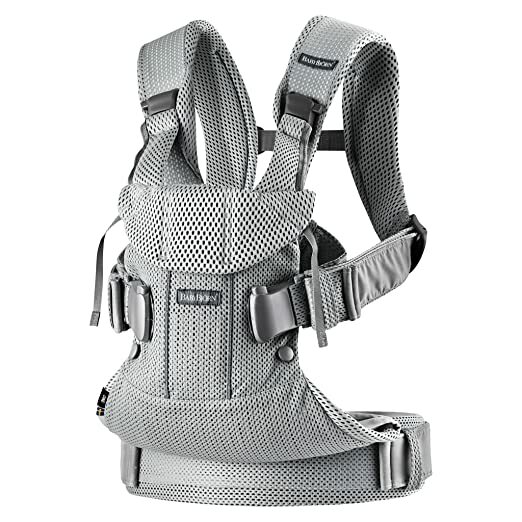 The Carrier One is an ergonomic carrier that offers four carrying positions and a comfort padding belt. The outer fabric is 60% cotton and 40% polyester, and the padding is polyester and polyurethane foam (in the straps). The carrier itself is beautiful and comes in four color options. The Carrier One Air is a mesh carrier made from polyester and designed to be more breathable than the regular Carrier One. An ergonomic baby carrier, the One is suitable for use from birth (for babies 8 lbs. and up) through toddlerhood. This carrier will be long-lasting and no extra newborn insert is necessary. If you are looking for a simpler or lower-priced carrier, compare their full range of carriers here. BUT – be sure to avoid any carriers that are not ergonomic. Unfortunately, they still sell them (no clue why!). 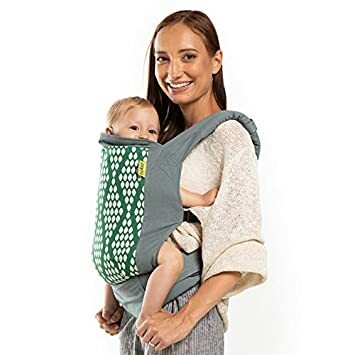 The Tula Ergonomic Carrier isn’t an organic baby carrier but it is an amazing carrier made by a responsible company so I wanted to include it on this list. The Tula Baby Carrier is an ergonomically designed soft-structured carrier that allows both front- and back-carrying. Known for being comfortable and easy to use, the Tula line has rapidly grown in popularity. The company has a huge and loyal following! Handmade with cotton canvas, the Tula is soft, comfortable, well-padded (using foam made with no flame retardants), and can easily be washed in the machine. Each Tula has a front pocket, and there are many different design options to choose from. Overall, the Tula is popular because it’s so comfortable, though some complain the head support is semi-lacking. 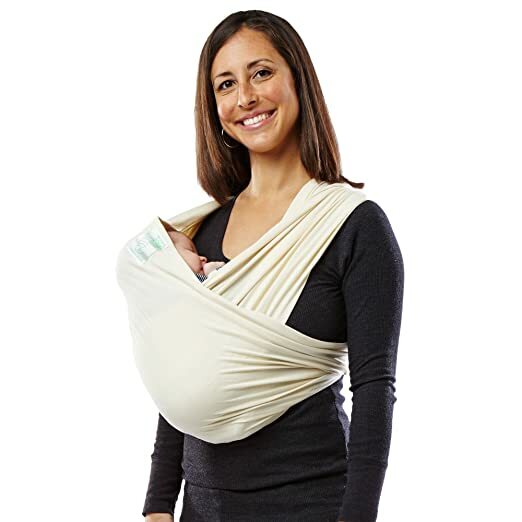 The Tula can be used with babies from 15-45 lbs, or from birth with the optional newborn insert (for babies 7-15 lbs.). There’s also a toddler carrier, which can be used to carry toddlers 25-60 lbs. Can be used with babies and toddlers 7-45 lbs. Did you find the perfect baby carrier for you? Let me know which one you ended up choosing in the comments below! I’m trying to find an organic wrap for summer weather, and I’d love a suggestion on one that can also go in the water. I think the moby bamboo will still be too much for summer because I tend to run very hot. Any ideas?Thanks! There are some water carriers you could use. I’m not sure if they’re comfortable enough to use all the time as I’ve never used one. How about the BabyBjörn one or the BabyBjörn original ? There are much better options. I am not a huge fan of their carriers. 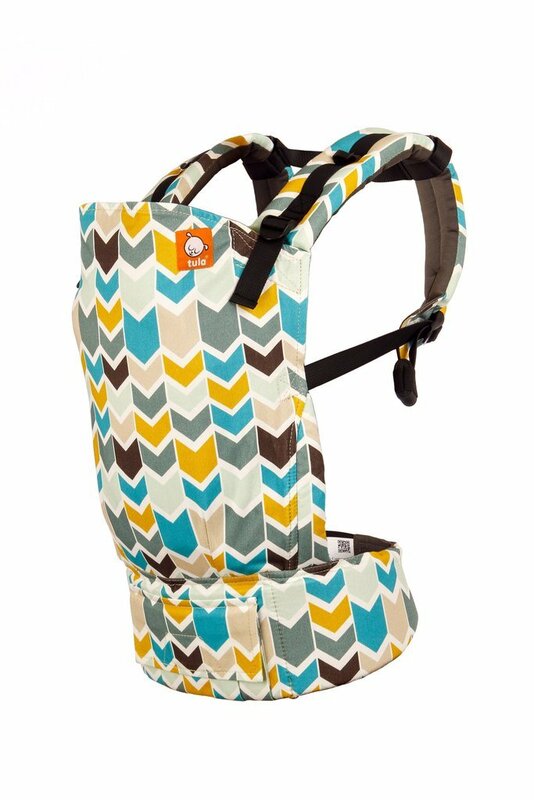 I don’t think they are designed well and aren’t as comfortable as a carrier like the Tula or Lillebaby. Thanks! Please let me know if I can help you choose a carrier!